Having been born with physical challenges and dyslexia meant the young John Demartini wasn't fond of school – initially. But then he realised the true value of learning, and today he inspires thousands to embrace school and their inner genius. Here he shares tips to help support your child who thinks school just isn't for them. For many children, the start of the school year is an exciting opportunity to socialise or an inconvenient return to reality. But how do you cope if your child resists school or hates it completely? 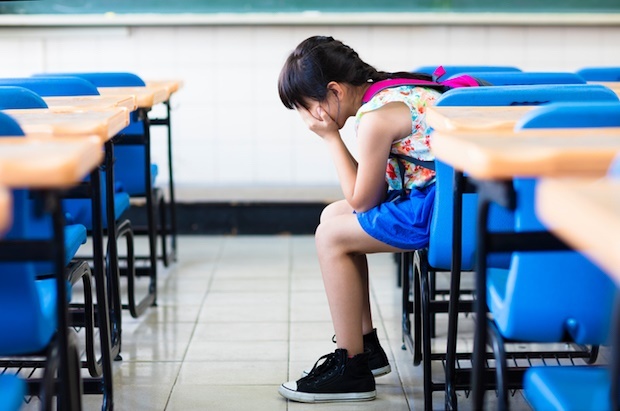 Leading human behaviour expert Dr John Demartini has some advice for parents struggling with their child’s Back to School Blues. His first piece of advice: you will never do anything ‘wrong’. "Every child loves to learn. They simply love to learn what inspires and is important to them. If your child cannot see how the classes they are taking in their school, or how the children at their school are helping them fulfil what is most important and meaningful to them, they will resist going to school and resist attending their classes. "Children open up to and embrace learning when it helps them fulfil what they love to master. They deserve to be respected for their individual values and not be put into a herd position of conforming to the world of a drone. Their genius becomes awakened the moment they see how their classes are going to help them achieve what they desire to achieve." Dr Demartini speaks from personal experience. Burdened with mild physical deformities and dyslexia, John Demartini was regarded as an illiterate no-hoper from a very young age. Consequently, he resisted the classroom environment and eventually left school completely at age 14. It wasn’t until his late teens that he returned to school with a renewed sense of self-belief and an inspired desire for education. Now, after 40 years of continual study and research, Dr Demartini is regarded as one of the world’s most prominent polymaths. “If you live within a fantasy world where everything is supposed to be happy, easy, peaceful, safe and agreeable, you are vulnerable to the major let-down when your fantasy is broken by the reality of life,” Dr Demartini remarks. Help your child understand that life is always in balance and that every challenging situation serves a purpose in their development. One UK study found that over-protective parenting is as damaging to a child’s wellbeing as harsh or negative parental styles. The answer, according to Dr Demartini, is to allow – or even encourage – your child to face challenge, and balance it with loving parental support. “Everyone needs a balance of support and challenge to help them maximally grow”, he explains. According to Dr Demartini, bullies serve a very important purpose – they can highlight where your child is disempowered. "If you've got a bully in your life and he's pushing you around, it's partly because you're not guiding or governing your own life. You're not empowered in that area. Once you empower that area, the bully disappears. If you don't empower yourself, the bully just keeps coming in to toughen you up, to make you stronger, so you empower that area. That bully can awaken your inner hero because he is actually helping you empower yourself." For more information, visit www.drdemartini.com.